War claims victims long after the fighting stops. 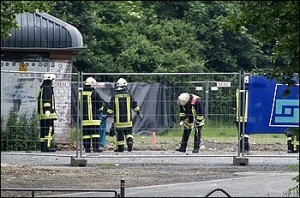 Three UXO clearance workers killed in Germany by WWII bomb. WASHINGTON (AP) — Three decades after the end of the Vietnam War, the United States is increasing aid to help remove unexploded ordnance that continues to kill people in the former war zone, especially in Laos where 2 million tons of bombs were dropped. Click here for full text.